Choose a Pay Monthly Web Design Plan! Support Your Website with SEO Marketing! Having a business website is really important today. Many potential customers research and educate themselves about a service or product before engaging with an organisation. At Tidal View we appreciate that getting your business on the internet could feel a bit overwhelming, especially if this is your first time! We also realise that paying for a website in one go can be tricky. 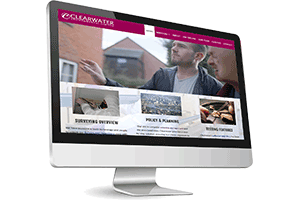 So, we offer a pay monthly web design service to get you going! Depending on where you are in your marketing process, re-branding or launching your first business website we can help. Our pay monthly web design service might start with registering your domain name, setting up your hosting or creating content for the launch of your business website. We can help even making sure the site has been submitted it to search engines and analytics are in place to help you make strong business decisions on how your site should evolve. Once your business website is live we routinely monitor it to make sure your content management system and all its components are updating, so you don’t have to worry about the techy bits. 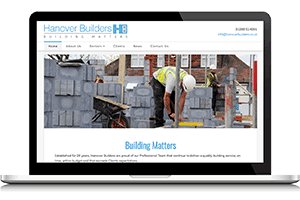 Our website support comes as part of our pay monthly web design deal, so whether you need the odd reminder on your website’s content management system or need support on adding additional pages to your website, we’re always here to help. *£300 First Payment – Ongoing monthly charge, minimum period 12 months. Starter Pack to promote your website. Build your Media Campfire with Activity. Turn your Website into a Beacon of Light! Your Business seen as an Industry Leader Online. Start your Media Campfire – A Spark to the Kindling, add Twigs & Small Branches, then the Logs, finally Toast those Marshmallows with the people attracted in by the welcoming fire! Don’t worry if it seems too hard, we can take care of everything for you, lightning the load by making the process simple and affordable. 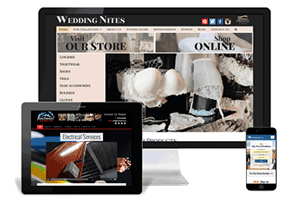 How well is your website representing your business? One of the challenges to a business is to be where potential clients are looking! If you only have a modest budget for online marketing, that fine! As long as it’s working as hard as it can to promote your offerings, at the very least it should be self-funding, with the very real potential to deliver far more than it costs. Unfortunately, all to often we see business website that are flapping in the breeze, with no real business structure or direction. Creating a business website is a great place to start. Promoting your website is the next action in gaining new customers. We can help with Media Campfire strategies to suit all pockets. Contact us Today!